Arbor Assays was founded in 2007 in Ann Arbor, Michigan (USA) by three scientists with a combined total of over 50 years of experience in Life Sciences. The research deals with the clinical relevance of proteins and other bioactive molecules. Therefore, Arbor Assays has developed kits for immune, chemiluminescent, and biochemical assays that are distinguished by high sensitivity. The basis for this is the adoption of high-quality antibodies and other uses of raw materials. Moreover, Arbor Assays has collaborated with universities, research institutes, and pharmaceutical research institutions to insure immediate reaction to the current trends in research. With all this success, the company feels it their duty to give something back to the public and for this reason donates shares from their turnover, through their "Research the Curve" program, to charitable organizations. On antibodies-online you receive extremely sensitive ELISA-, CLIA- and BCA-Assays from Arbor Assays, which can be used directly for detection of the searched proteins in the different output matrices such as urine, cell culture medium, and cell and tissue lysate. A lot of assays can also be used in difficult to evaluate media such as whole blood, EDTA- or heparin-treated serum, as well as erythrocytes. Besides this, antibodies-online offers a choice of primary antibodies and accessory reagents of Arbor Assays, e.g., recombinant obelin, a bioluminescent photoprotein, which constitutes a fast and sensitive proof of calcium ions. Of particular interest for scientists is the range of products that deals with protein research in the areas of endocrinology, cardiology, nephrology, the molecular bases of ageing, and oxidative stress. 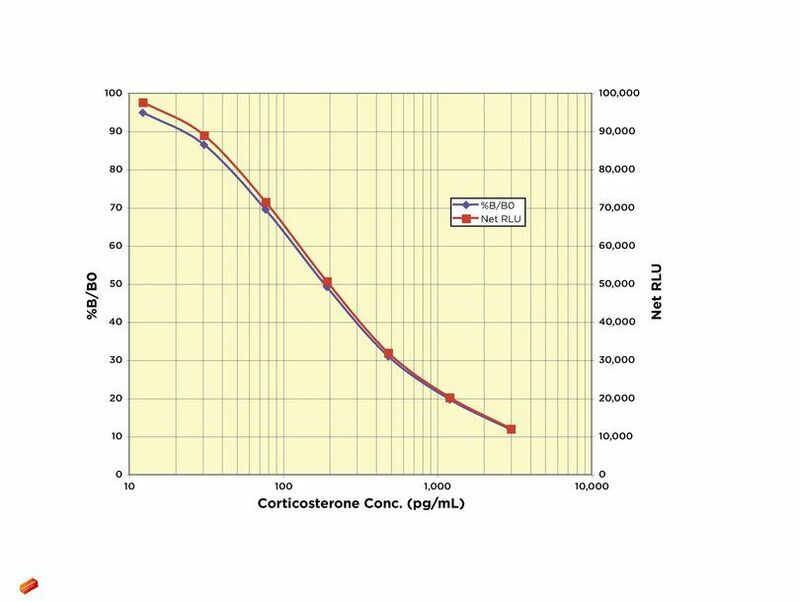 Corticosterone is a glucocorticoid secreted by the cortex of the adrenal gland and is a major indicator of stress in non-human mammals. The steroid is the precursor of aldosterone. Studies involving corticosterone and levels of stress include impairment of long term memory retrieval and chronic corticosterone elevation. The Corticosterone Enzyme Immunoassay measures corticosterone present in tissue culture, serum, plasma and has been validated with multiple animal species. It is super sensitive and measures Corticosterone in as little as 1μL serum. The kit is easy-to-use and produces high quality results – more than 130 publications already successfully used and cited the kit from Arbor Assays. Follow the link on the left for more information about the Corticosterone ELISA kit. Looking for a specific Arbor Assays catalog number?